Friedrich Vordemberge-Gildewart came into contact with the De Stijl group towards the mid 1920s and, together with Van Doesburg, contributed to defining “Elementalism, ” the dynamic variant of Neo-Plasticism. 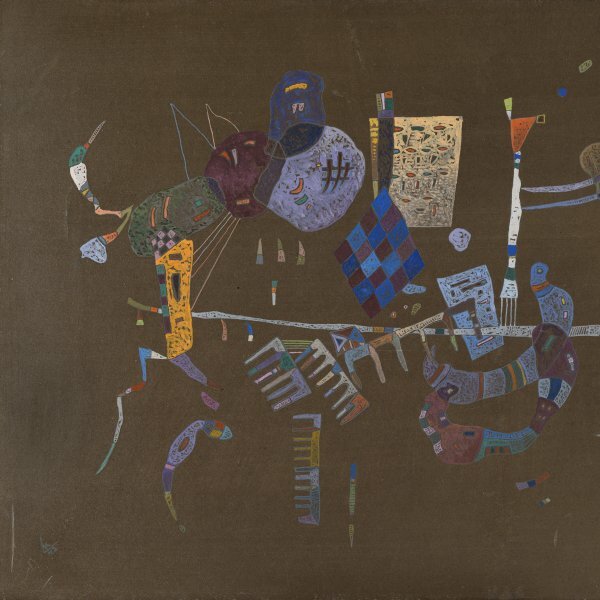 He had previously had some connection with the Dadaists of Hanover through his friend Schwitters, and years later collaborated with the Paris abstract groups Cercle et Carré and Abstraction-Création. Composition No. 104. 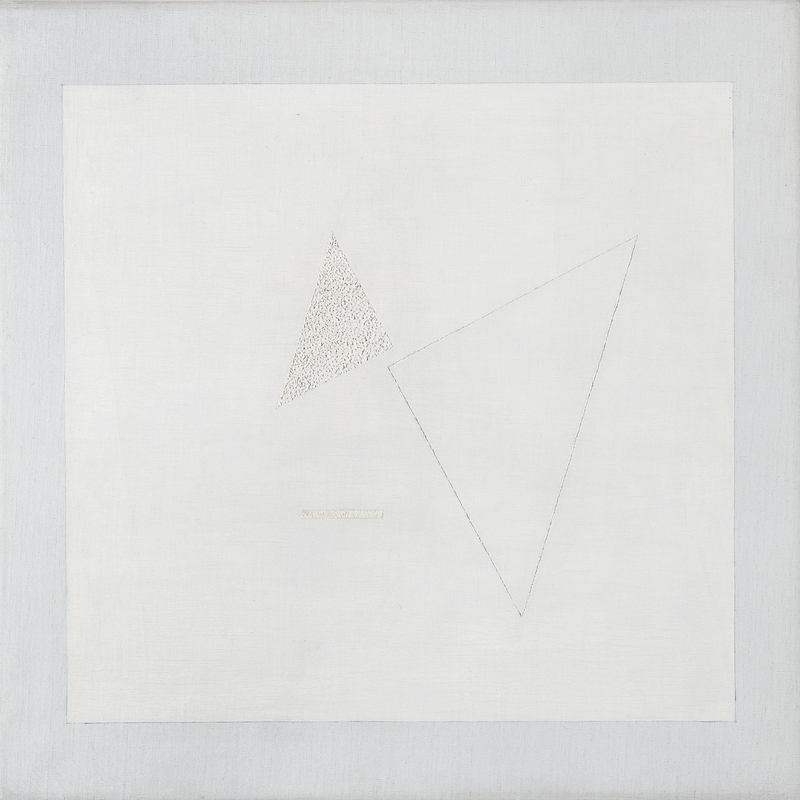 White on White was painted in 1936, at a difficult time for the artist owing to the Nazi advance, which forced him to live in hiding in Amsterdam while Holland was occupied. His pictorial language had become increasingly refined and according to the sculptor Hans Arp, his subtle compositions, resembling triangular constellations of great purity, were the antithesis of the chaotic confusion all around him. The subtitle White on White, the artist’s original, refers to his renunciation of the use of colour in order to concentrate the full tension of the painting on the confrontation of the floating geometric forms. This emphasis on absence of colour, which recalls Malevich, is coupled with the incorporation of different textures into the various planes to introduce an element of coarseness that further adds to the dynamism of the image and gives it the appearance of a painted relief. The work entered the Schröfer collection in The Hague, most likely as a result of the painter’s first exhibition in this city in 1938, which included the present painting. It then passed to Paul Citroen, the painter linked to De Stijl who founded the Nieuwe Kunstschool in Amsterdam. It entered the collection of Baron Thyssen-Bornemisza in 1978.